Thermoplastic elastomers (abbreviated as TPE) are materials that can be processed with thermoplastic processes and have rubber-like use properties. Thermoplastic elastomers can be easily shaped as they go through the plastic state when being processed. They can be produced in almost all hardnesses. By means of modification it is possible to achieve adhesion to almost all technical thermoplastics. Their flowability as well as their density, optics, scratch resistance and other properties can also be adjusted by means of compounding with the most various filler materials and additives. What types of TPE are available? 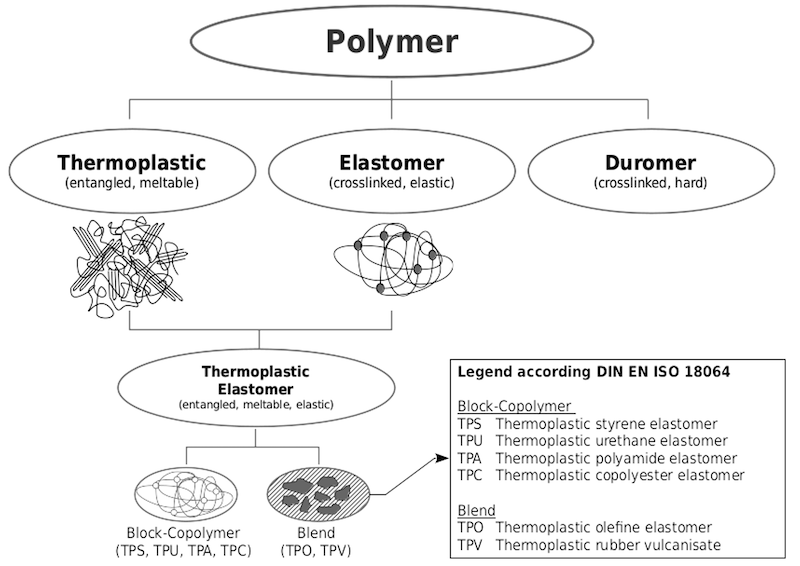 Thermoplastic elastomers can be divided into TPE blends and block copolymers. Blends are alloys made of a plastics matrix and a soft material, e.g. an elastomer. There are TPO (thermoplastic olefin elastomer) and TPV (thermoplastic rubber vulcanisate). Block copolymers are molecular chains with different segments that aggregate to build “hard” and “soft” areas when cooling. There are furthermore TPS (styrenic block copolymer), TPU (thermoplastic polyurethane), TPC (thermoplastic polyester elastomer) and TPA (thermoplastic polyether polyamide). What differences are there between the individual TPE types? The various TPE types differ in their properties. TPC, for instance, is characterised by its good mechanical strength, while TPU has good friction values. However, both types could be optimised, in particular in the compression set at higher temperatures. 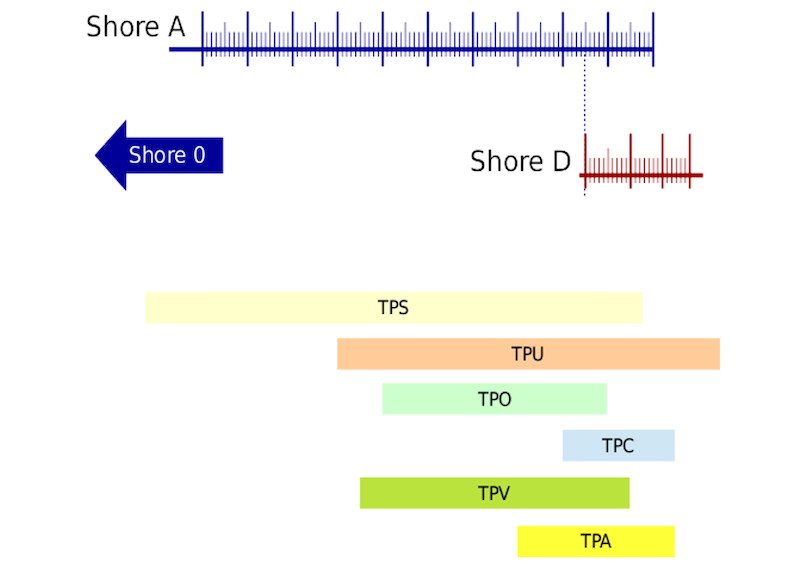 TPV and TPS can be modified in very wide areas. However, applications in oil and/or at high temperatures are a real challenge. TPA stand out with their springiness. Just like TPU, it is not so easy to process. In case of hardness according to Shore, a resistance is measured that arises because of the penetration of a body with a specific shape that is pushed onto the testing object with a predefined spring tension. The hardness in Shore A is softer than that in Shore D, whereby there is an overlapping of these two hardnesses. 90 Shore A corresponds to approximately 35 Shore D.
The compression set specifies the dimensions to which a deformed material returns after a specific time and at a specific temperature. A compression set of 0%, for instance, indicates that the material returned to the dimensions to 100%, i.e. it fully got back to its original dimensions. With a compression set of 100%, the material returned to 0%, i.e. it did not return to its original shape at all. 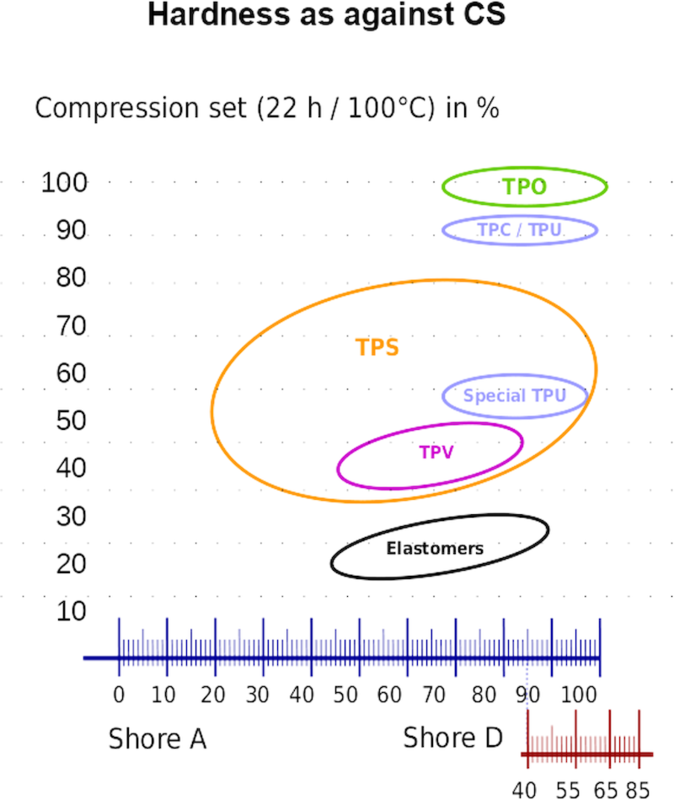 The compression set values are important with respect to sealing applications or damping elements, for instance. 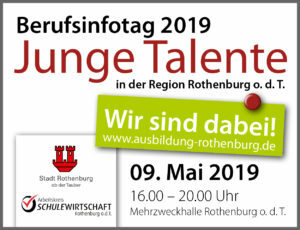 Copyright © 2018 Allod Werkstoff GmbH & Co. KG. All rights reserved.